We were pleased that the Poughkeepsie Journal ran a front page article on GMOs recently. The reporter, Emily Stewart, attended our Jeffrey Smith event on April 7. Ms Stewart did a good job in educating readers about the prevalence of GMOs in our food supply. We appreciate her coverage, but feel some points need correction and clarification. We thank Emily Stewart for her article ICYMI: GMOs in Food Stir Controversy, in the Poughkeepsie Journal on June 1. Genetically modified organisms (GMOs) have been in our food without our knowledge or consent for over 15 years. It is about time we had a public debate about it. 1. There has never been a long-term, human feeding study to see if they are safe. 2. Our Food and Drug Agency (FDA) does no safety assessments of GMOs, but merely relies on companies, like Monsanto, to tell us they are safe. 3. The biotechnology industry forbids the use of their seeds for independent research. 4. All industry studies end at 3 months. In the first long-term, animal feeding study harmful effects from eating a GMO diet began to show at four months. It is also disturbing to know that 20 years ago, most of the scientists at the FDA warned about the potential health problems of GMOs, saying they could lead to new toxins, allergens and diseases, but were overridden by a political appointee at the FDA, Michael Taylor, with ties to Monsanto. The truth is, GMOs have not been adequately tested and have no business being in our food supply. 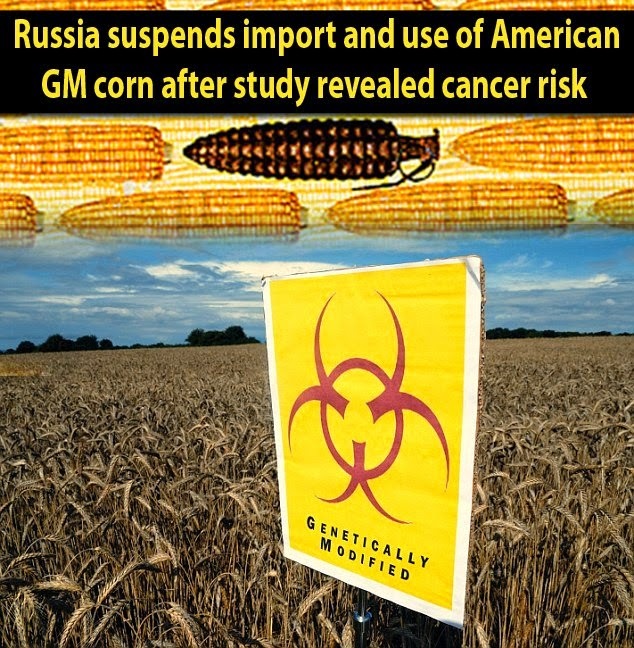 The article did not include examples from the growing body of scientific evidence that show that GMOs pose a great risk to human and animal health and to the environment. Here is just one link that documents over 1,400 studies, surveys and analyses that show harm from eating GMOs. http://gmofreeusa.org/gmos-are-top/gmo-science/ Over 300 scientists have signed a letter saying there is no consensus on the safety of GMOs. We love our local farmers, but are dismayed to hear one is planning to plant Bt corn. Bt corn is genetically modified to produce the Bt insecticidal toxin in every cell of the plant and at concentrations many times stronger than Bt spray. This corn even has to be registered as an insecticide with the EPA. Ms Stewart’s article says Bt toxin is "said to be harmless to humans". It is not. Contrary to Monsanto’s claims, it does not break down harmlessly and pass through us. The University of Sherbrooke Hospital Center in Quebec found the Bt toxin in 93% of pregnant women, in 80% of fetal blood samples and in 69% of non-pregnant women. http://www.dailymail.co.uk/health/article-1388888/GM-food-toxins-blood-93-unborn-babies.html Scientific studies have shown the Bt toxin damages the mammalian ileum (part of the small intestine) which can lead to digestive problems. Another study showed that low doses of Bt toxin and glyphosate found in Monsanto’s herbicide, Roundup, kill human kidney cells. Most GM crops are genetically modified to withstand massive doses of glyphosate, which is now found in 60 to 100% of rain samples in US agricultural areas. It is in our soil, water, the air we breathe and in us. It has been shown that Roundup Ready GM crops are less nutritious and contain more of this toxic herbicide (that is in the plant and cannot be washed off) than conventional crops. Glyphosate has been linked to Parkinson's, infertility and cancers. Click here for more on this troubling herbicide. It is a testament to the power of the biotechnology industry that there are so many peer-reviewed studies proving harm from GMOs and the primary herbicide used to grow them, but so few people are aware of the dangers. Doesn't that make you think, that at the very least, GMOs need more study before being on our food shelves? There are many front groups and individuals funded by the industry touting the wonders of GM crops and how they are going to "feed the world". Too bad none of it is true. GM crops do not increase yields; in fact organic performs much better in adverse weather conditions than GM. They do not decrease pesticide use- which is actually up by over 400 million pounds since GM crops were introduced. This is because massive spraying of Roundup has spawned super weeds requiring larger amounts and more toxic herbicide. The rootworm has also developed resistance to Bt corn. We don't think our food supply should be patented and owned by a handful of corporate, multinationals. We think farmers should be able to save their seeds, not get sued by Monsanto when their crops get contaminated by a neighboring farmer's GM crops. We think we deserve to know what we are eating and feeding our families. 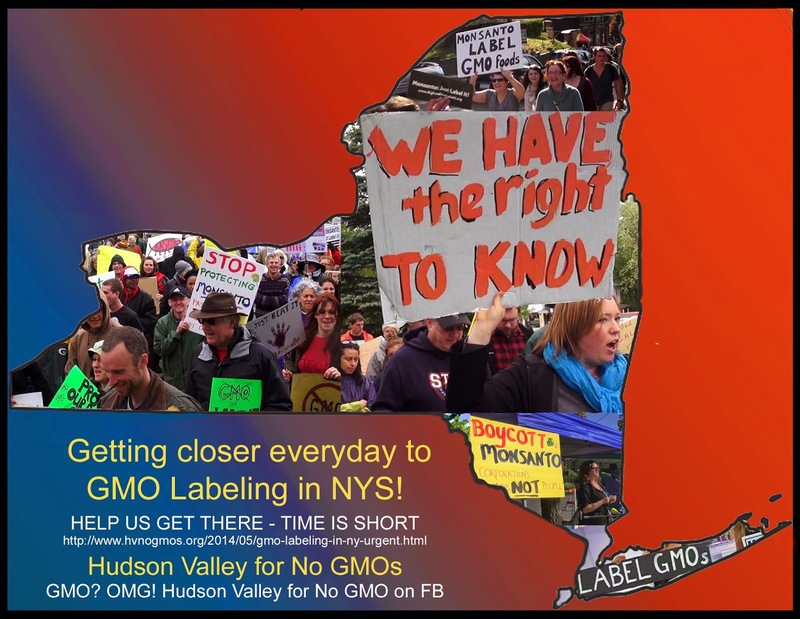 Please support the GM labeling initiative in NY. Assembly bill A3525 has already passed two committees. Over 62 other nations have done it, including China and Russia. 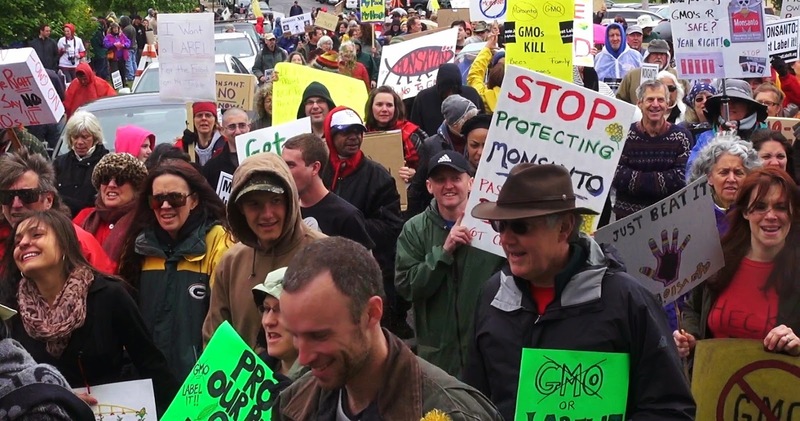 In fact, GMOs are labeled for three billion people on this earth, but not us. The article also says food prices could go up because GM and non-GM would have to be separated. They already have to be separated, as many countries ban GMOs all together. Saying that GMO labeling will result in increased grocery costs is just a ploy used by the biotechnology industry to scare consumers into being against labeling. But what does happen when labeling passes is that food manufacturers voluntarily remove GMOs from their ingredients. In the EU for example, US companies like Heinz, Kelloggs and Kraft became GMO-free. Given the lack of consensus on their safety, wouldn't that be something we could all celebrate? The End of Authentic Food? In 1999, Monsanto told consultants at a biotechnology industry conference that their goal was for 100% of our food to be genetically modified and patented in 15 to 20 years with natural seeds becoming virtually extinct. They are on their way with about 90% of our corn, soy, canola, cotton and sugar beets being GM. Monsanto has also been gobbling up non-GMO seed companies in recent years. 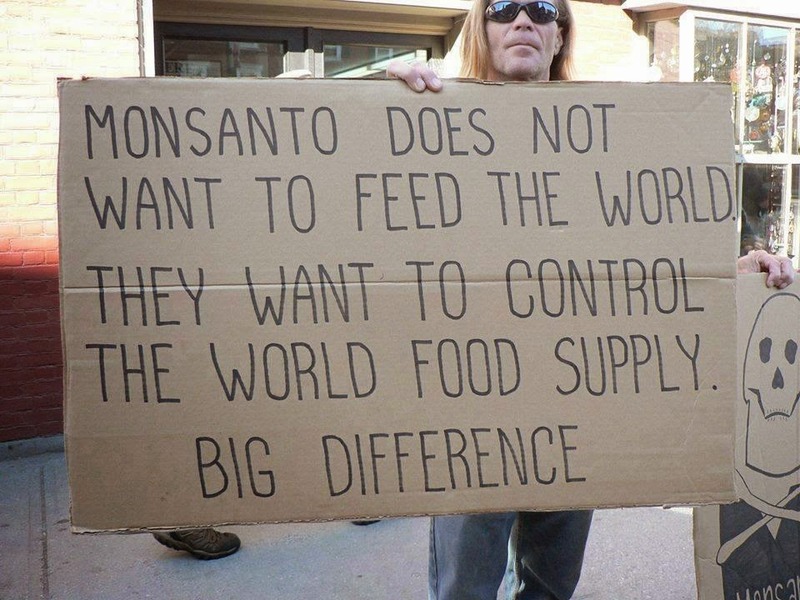 Monsanto, Dupont and Syngenta now control 50% of all seeds on earth. This worries us. We simply want the choice to not have to eat GMOs and we want our kids and grandkids to have that choice too. For your health and that of future generations, please learn more. Join us at Hudson Valley for no GMOs (HVnogmos.org) and send us your email at HVnogmos@gmail.com. We promise to never share it and will keep you apprised of what you need to know to protect yourself and your family.